Puppies are born at 6.-7.10.2009! There are 10 puppies, but unfortunately one girl passed away. So we have litter of 7 boys and 2 girls. Both girls are white. Boys have all the colors; 1 red, 2 brindle and 4 white ones. The red boy stays at home. 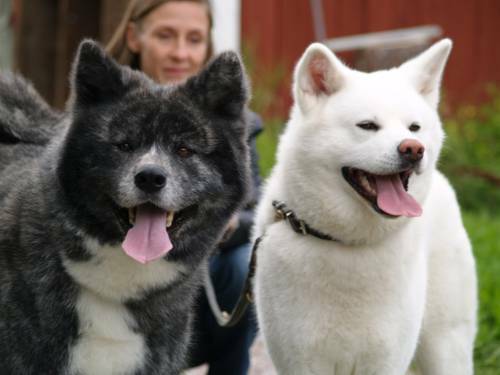 Puppies coming to nicest parents, Sirkku and Sulo. Both parents are great with children and people. They bare just about anything from children. Sulo has told he doesn�t like too much Japanese men. Maybe he has some traumas from his childhood at Japan. Temperament is Sirkku�s and Sulo�s best side. Both of them has done well at shows. Sulo is Finnish Champion with few BOB-wins, Sirkku has 5 CAC�s, few BOB and one CACIB. Both of them are Japanese imports; Sulo was imported 2006 and Sirkku 2007. They are both registered in Akita Inu Hozonkai (AKIHO). Sulo�s official name means Unshou�s glory. 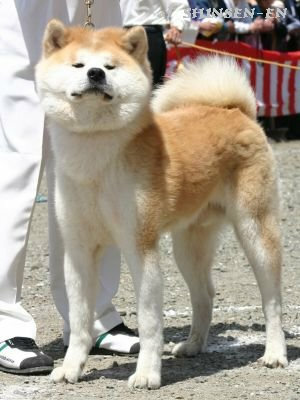 We�ll, he is the son of Japan�s Meiyosho winner Unshou Go Kanzakiya Kensha. 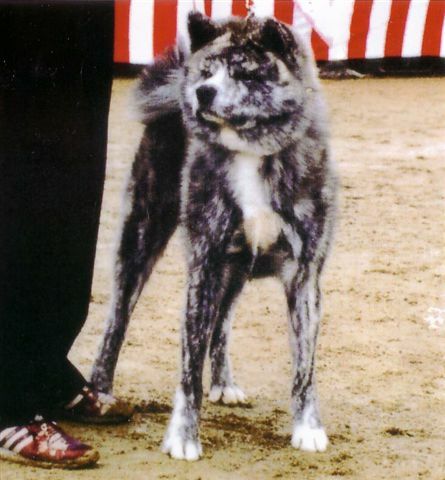 Sulo is born at Niigata and Sirkku at Akita. Both of the parents have been healthy. There haven�t been any allergies etc. because of barf, maybe. Hips could be better: Sulo�s hips are D/D and Sirkku�s C/C. Luckily Sulo�s offspring at Minerva litter have been healthy. We are expecting brindle, white and maybe red puppies to come. 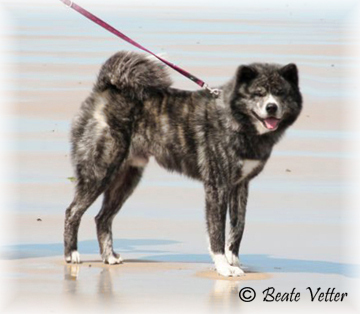 Litter's pedigree can be found here at Finnish Kennel Club's breeding database.